Tired of the kiddies waking you up every morning by using you as a jungle gym? There’s a solution for that. And it’s as glorious as can be. Come and explore an indoor playground that promises parents a sleep in and offers the kids a chance to explore. What do you do when you are simply over the kids waking you up every morning? 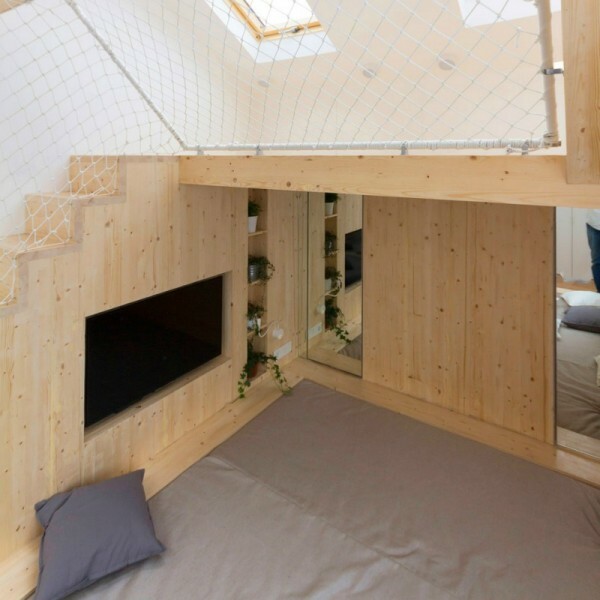 You build a playground above your bed. 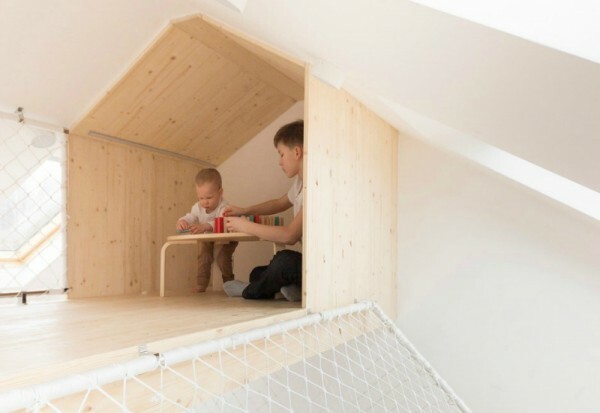 This is what Russian architectural studio Ruetemple has done to keep the little ones happily entertained while mum and dad enjoy some quiet time in bed. 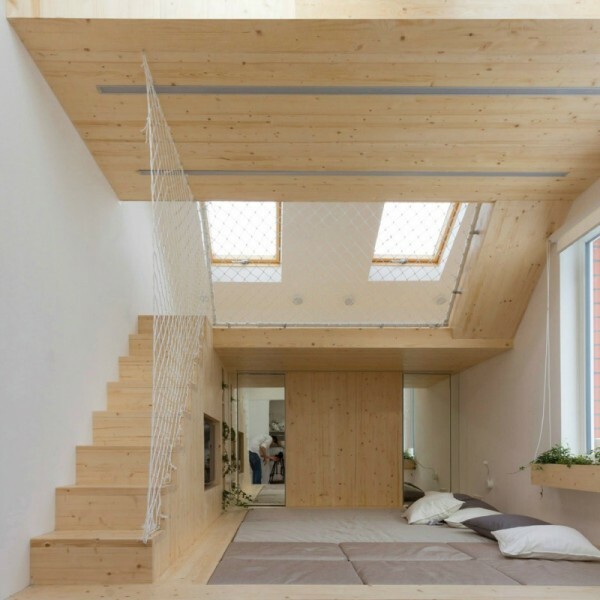 Sticking to a calming timber and white motif, the designers have created a perfect escape for the kids with access to a secret room, a podium with a bed, two upper levels and a staircase complete with white nets to protect the children from falling while allowing them to climb to the very top of the fortress. 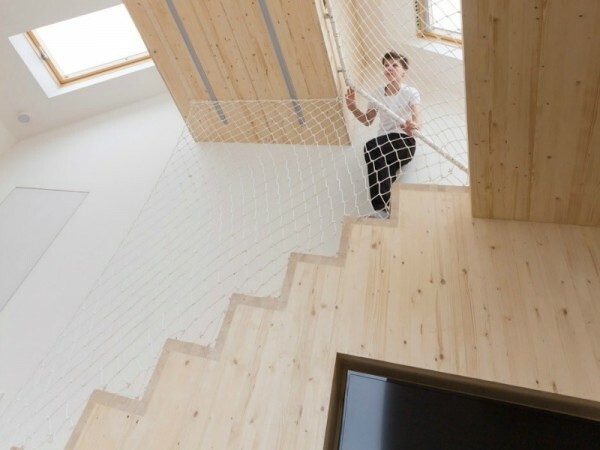 The house, in Russia, is used as a summer and weekend home by the family. When Mum and Dad want a sleep in after a long work week, their two children can climb and play without disturbing their parents. What do you think, Babyologists? 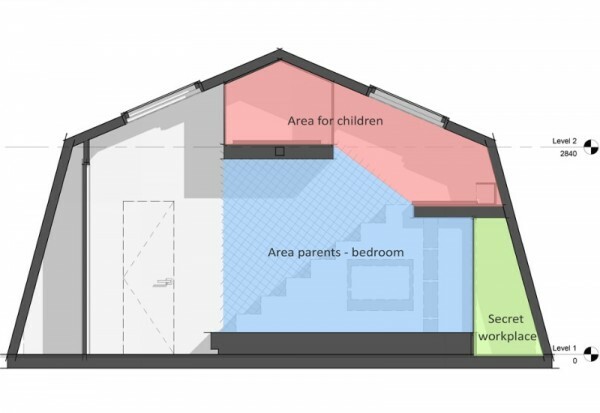 Would you like to see something similar in your home? Check out some of our other favourite beds for mums and kiddies including this seven-person co-sleeping bed and these spectacular shared bedrooms.